"If you don't have store-bought cake flour on hand, just whip this up and use it instead!" 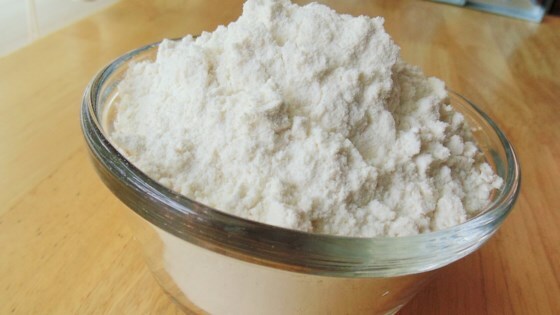 Combine 1 1/2 cups plus 6 tablespoons flour, cornstarch, and baking powder in a bowl. Sift several times until evenly blended. This simple combo of flour, baking powder, and salt can really save the day. A quick way to measure the flour is to measure out 2 cups and put 2 tablespoons back in the bag.